Published: Dec. 18, 2013 at 12:12 p.m. Updated: Dec. 18, 2013 at 02:37 p.m. The Pro Football Hall of Fame recently trimmed its list of 126 modern-era nominees for the Class of 2014 to 25 semifinalists. NFL Media historian Elliot Harrison will judge cases for induction in a recurring feature on NFL.com. With a list of such notable players, there are sure to be disagreements, so hit up Elliot on Twitter @Harrison_NFL to share your opinion. Today, we look at six guys who played offensive skill positions, listing them from most likely to be inducted to least likely. Of the skill-position players, Harrison has the best shot at being inducted into the Pro Football Hall of Fame in 2014. With Harrison, it's all about the résumé. He boasts more than 1,100 receptions and logged eight straight seasons of 1,100 receiving yards or more. (Only Jerry Rice surpassed that latter mark.) Then throw in the fact that he won a Super Bowl ring, and scored well over 100 touchdowns -- everything is there. 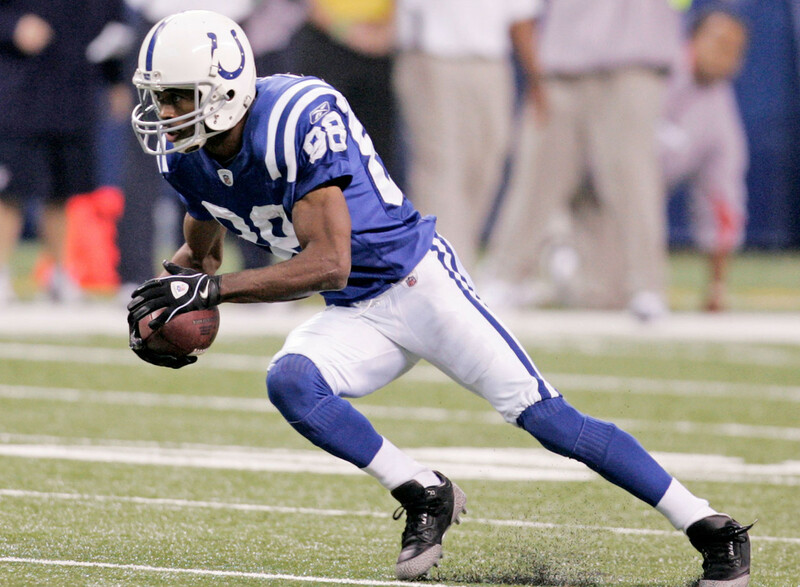 Perhaps what's most important: He's not just a numbers guy, even if he did set an NFL record with 143 catches in 2002; at one time, he was in the discussion as the best receiver in the game. While Davis might be a controversial pick due to his smaller catalog of work, I think he gets in before Jerome Bettis. I've changed my position on this since going out to Canton in August. While some voters take into account that Davis played just seven NFL seasons, there is NO question he was the premier running back in the game when he was healthy. His three-year run from 1996 to 1998 might be the best three-year stint any running back has ever had -- 5,296 yards, a Super Bowl MVP award, a league MVP Award and, of course, two Lombardi Trophies. Pretty tough to top. And I made sure to tell him Wednesday on NFL Network's "NFL AM" that he belongs. There are voters who consider Reed a Hall of Famer, and clearly plenty who don't. That's why this guy has been a finalist in the voting process seven times. Why hasn't he gotten over the top? Well, right now there is a backlog of great players, with a very strong class of retirees coming in: Derrick Brooks, Tony Dungy, Marvin Harrison and Walter Jones are eligible. Michael Strahan and Charles Haley are out there. Reed ranks over Brown and Bettis mostly because he has quite the public backing from Bills fans and former players who have said -- time and again, on TV and radio -- that he belongs in Canton. The fact that he played in cold-weather games (less than 40 degrees) also plays a role; though, there were just 18 of them. The fact that he never posted back-to-back 1,000-yard seasons, however, must weigh on voters' minds. There is plenty of respect around the NFL for Brown, but perhaps more than any other wide receiver, his induction to the Pro Football Hall of Fame has been made difficult by the logjam at the position. Cris Carter retired as the NFL's second all-time leading receiver (behind only Jerry Rice), yet he didn't get in until his sixth year of eligibility. Brown ranks behind Andre Reed because he didn't play in four straight Super Bowls and spent most of his career in Oakland and Los Angeles -- not in the harsh weather conditions the former Bill faced in Buffalo. For the record, Brown was a great return man, a dimension Reed doesn't have in his candidacy, and has 143 more catches (1,094 to 951), and more touchdown receptions (100 to 87). This will be quite close. After hearing some of my colleagues and Hall of Fame voters discuss Bettis, some doubt is creeping in regarding his candidacy. He was an outstanding football player, no doubt, but no one I've spoken with seems to think he was ever one of the best in the business. In baseball terms, Bettis seems to be considered that classic .280-.290 hitter who plays forever and ultimately surpasses 3,000 hits. Actually, "The Bus" delivered plenty of hits on his way to 13,662 rushing yards, which ranks sixth all time. He's less than 500 yards behind contemporary (and Hall of Famer) Curtis Martin, yet the latter played two fewer seasons and led the NFL in rushing in his 10th season. That Terrell Davis was considered a better player in his prime somewhat slights Bettis' résumé. Hall Probability: Moderate to Very Good. It could take a few years. To start this discussion off in the right fashion, let's put it out there: Roger Craig was a fantastic football player. He could do everything the 49ers asked him to do, be it blocking for Wendell Tyler, catching the football or, of course, running the football. The first player ever to post 1,000 yards rushing and receiving in the same season (1985), Craig won not one, not two, but three Super Bowls while in San Francisco. Despite not even sniffing the top 10 in career rushing yards, his versatility and productivity in all phases of the game made him a unique running back. Perhaps what's most impressive: Craig made the playoffs in each of his 11 NFL seasons. Hall Probability: Slim. His best bet: The Seniors Committee in five years.